Many Russian social media users couldn't wrap their minds around the US president's argument that the USSR went "bankrupt" and collapsed fighting in Afghanistan, with others looking to give Donald Trump a history lesson. Donald Trump urged India, Pakistan and Russia to get directly involved in the war against the Taliban in Afghanistan on Wednesday in a televised cabinet meeting which included claims from the president that the Soviet Union fell apart due to its involvement in the war in Afghanistan. "Russia used to be the Soviet Union. Afghanistan made it Russia, because they went bankrupt fighting in Afghanistan," Trump said. "The reason Russia [i.e. the USSR] was in Afghanistan was because terrorists were going into Russia. They were right to be there. The problem is it was a tough fight, and literally they went bankrupt. They went into being called Russia again as opposed of the Soviet Union. You know, a lot of these places you're reading about now are no longer part of Russia because of Afghanistan," Trump added. "But why isn't Russia there? Why isn't India there? Why isn't Pakistan there? Why are we there and we're six thousand miles away?" the president asked, before adding "But I don't mind. We want to help our people, we want to help other nations." Some observers took Trump's words as a sign of frustration over expectations that the US maintain a military presence in Afghanistan indefinitely, with others suggesting the key message was that India, Pakistan and Russia should take a more active role in the conflict. However, the thing that stuck in the minds of many Russian social media users was the president's argument that the Soviet-Afghan War of 1979-1989 caused the Soviet Union to go bankrupt and collapse. Russian-speaking internet users quickly rushed to Twitter to give Trump a history lesson. "The Soviet-Afghan War ended in 1989. The USSR ceased to exist in 1991 due to the betrayal of the party elite – drunken [Russian Republic head] Boris Yeltsin, corrupt [Ukrainian Republic head] Leonid Kravchuk and [Belarusian Republic head] Stanislav Shushkevich," one user explained. "Nonsense. The collapse of the USSR was the result of [Soviet leader Mikhail] Gorbachev's treachery," another user added. "The USSR could have been destroyed only from the inside, which is what [Gorbachev] successfully did," a third chimed in. "The USSR broke up due to the technological primitiveness of its leaders, who, instead of computerizing the country, decided to restructure the political system," another argued. A few users also recalled the provision of CIA aid to the Mujahedeen in Afghanistan in the 1980s, elements of which eventually morphed and mutated into the variety of Islamist terrorist groups which exist in the world today. "Hmm, but why didn't he explain that the war in Afghanistan also led the US to create al-Qaeda, and then all the other terrorists in Afghanistan and adjacent countries?" one user asked. A few defended Trump, however. "We [in Russia] cannot come to a single conclusion about the reasons for the collapse of the USSR. What do we want from Mr. Trump? He thinks that way? Let him do so, and withdraw US troops from all over the place," one user wrote. The USSR deployed a limited military contingent to Afghanistan in late 1979, waging battles against the Mujahedeen militia for almost decade before withdrawing in February 1989. Contrary to Western myths, the Soviet Union entered the country legally to support of the moderate faction of the local communist government, which had been embattled by US-backed Islamist and other anti-communist rebels after coming to power in April 1978. The Soviet military continent in Afghanistan, known as the 40th Army, never climbed above 110,000 men, with the Afghan War costing no more than 0.6 percent of Soviet GNP during its most intense period between 1985 and 1987. The war cost the lives of some 15,052 Soviet servicemen, as well as 18,000 Afghan government troops, with Soviet and Afghan forces eliminating an estimated 70,000-90,000 Mujahedeen. 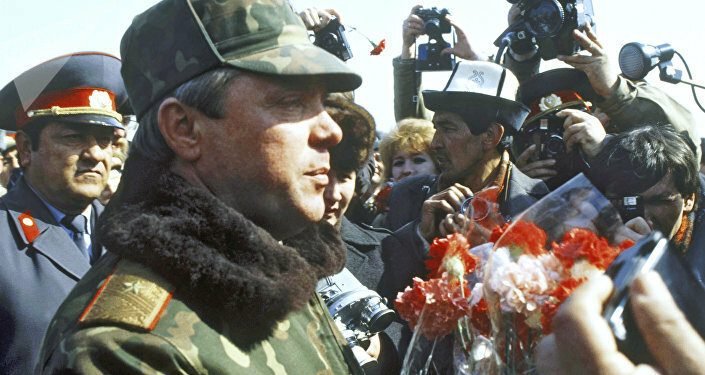 Soviet leader Mikhail Gorbachev made the decision to withdraw the Soviet contingent from Afghanistan in 1986, feeling dissatisfied with the perceived lack of progress in the war. The last Soviet troops left in February 1989. After the Soviet withdrawal, the pro-Moscow government of Mohammad Najibullah held out for several more years, until 1992, when Russian President Boris Yeltsin cut off fuel deliveries, immobilizing the Afghan army and quickly leading to its defeat by the Mujahedeen.